Volunteering: How It Changed My Life! Is University Life Only About Academics? My involvement ranges from small local clubs to a national organizations to branches of international organizations. Irrespective of shape, size or topic of those NGOs, I can easily draw a line of similarity among them. To start with, the Board is sometimes called Board of Directors, Steering Committee, Executive Board or Executive Committee, so in spite of the naming diversity, the roles and responsibilities stay the same. Decision Making: Board member are usually the founding members or are elected members that lead the organization. In this context, all major decision making in the organization goes through them. Now it has been noticed over and over again that many Board Members become passive and rather apathetic to decisions being taken, which makes the whole organization go biased towards the opinions of the remaining Board Members. So if you’re on a Board of an NGO and you see this happening around you, don’t freak out, you’re not alone…its a trend! Yet it’s important to deal with this issue as it is crucial to have all Board Members involved in all decisions or else you’ll start seeing resistance and conflicts arising here and there every once in a while, especially from those same inactive Board Members. Organizational/Executive/Functional: In addition to having decision making role, all Board have a distribution of roles and responsibilities where the most common structure is “President, Vice President, General Secretary, Treasurer & Accountant” thus each of those individuals not only has his decision making role, but also a functional role to play, whether it’s taking care of financials, or internal communication or following up on tasks or heading committees..etc. Thus if those tasks and responsibilities are implemented properly, you would’ve successfully built the second pillar of the NGO to ensure that it stands tall and becomes sustainable. When this role is done properly, the internal dynamics of the organization start functioning properly. Jack-of-All-Traders: Yes you read it right, as soon as you become a Board Member of an NGO you suddenly get to become a jack of all trades as your responsibilities will expand beyond what you expect. So you roll up your sleeves and you start doing tasks related to strategic planning, outreach, public relations, proposal writing, volunteer management, project management, reporting, web development, graphic design, fundraising, training, consulting, event organizing and so on and so forth. So when you’re joining the Board of an NGO, its not just about doing your decision making or your functional role, but you’re expected to be involved at all levels, in all your projects and operations and to become well knowledgeable about them to assist, support and improve what your organization does. So in a nutshell, I can say those 3 pillars are what makes a healthy Board and thus a healthy organization if they were implemented properly and professionally. If you’re a Board Member, and you feel you’re missing out on any of those…then double check with your team as you are probably holding your organization back because are doing them. Whereas if you’re doing all three and you feel other Board Members aren’t, then its about time you share the workload with them. Teacher, Trainer & Facilitator: What’s the Difference? I’d like to invite you to a workshop that I’m organizing and delivering as part of my work with CMCS Lebanon. Details below. 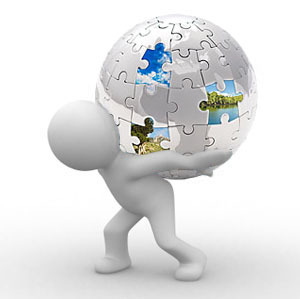 Understand the difference between NGO projects and private sector projects. 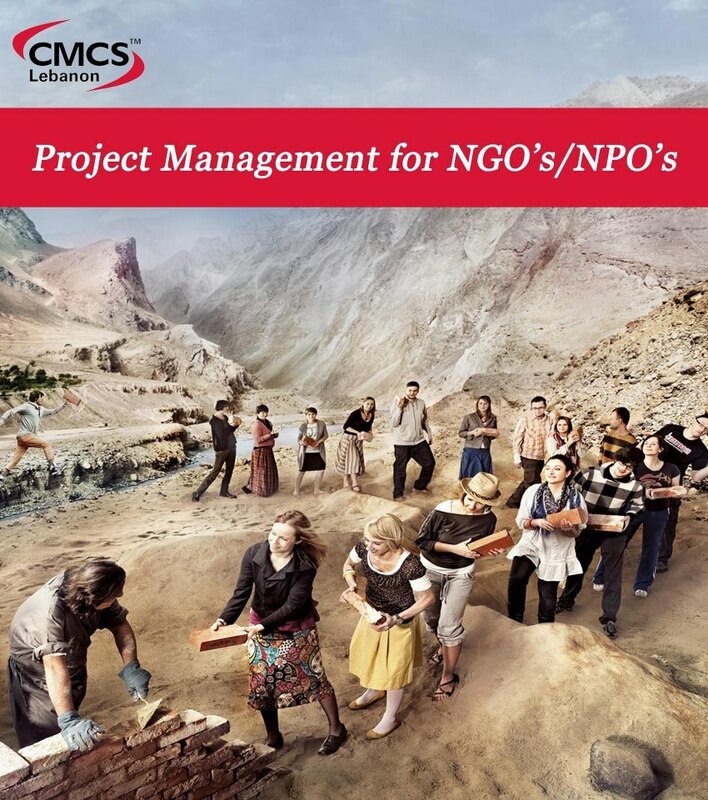 Understand and identify how to use standard tools and techniques of project management in NGOs. Understand the relationship between the Knowledge Areas in the PMBOK (PMI) in relation to NGO’s terminology and way of work. Understand how to develop a project idea into a full project management plan. A practical hands-on workshop designed in alignment with the international standard of project management along with the best practices in Project Management in NGOs. Covers key topics and issues that everyone can build on to enhance the way they transform project ideas into fully functioning plans. Includes numerous discussions, reflection sections and exercises. Is approved by AUB and certified by PMI thus PMP/CAPM holder can claim PDUs for it. $ 550 US (including CMCS Customized Course Manual, a Process Chart, Certificate of Attendance, 15 PDUs, and Snacks & Refreshments). VAT included. Last month I’ve given a lecture/session titled “Project Management for NGOs” to the PMI Lebanon Chapter as part of their monthly lectures. The world today has hundreds of thousands of active NGOs majority of which are project and program based and depend on ongoing grants and funding to secure resources for their projects. With grants and funding summing up to hundreds of millions of dollars annually, the amounts being lost on failed projects, unmet objectives and re-work is counting up to tens of millions of dollars. Many leaders of NGOs consider this as a reasonable and un-escapable price to pay due to the fact that it is hard to recruit enough qualified project and program managers in the NGO field due to the short period of engagement, low wages with respect to private sector and lack of well identified project management training, tools and techniques. With thousands of program managers, program coordinators, project managers, project coordinators, assistant program and project managers and so on and so forth, there is a huge gap to be filled for both the organizations and the individuals working in them. What many don’t realize is that PMP standard can apply to NGOs by simply matching many of the terminology that is used by PMP with those present in NGOs. This lecture will help you understand how. NGOs play an essential and integral role in the sustainability and growth of our communities and environment. They deal with a wide spectrum of topics including but not limited to orphans, elderly, recycling, global warming, advocating rights, economic development, education, awareness…etc. For more than 12 years, I’ve been passionately involved in NGOs and along the road I managed to create some, or be on the Board or advice & consult others. Throughout the years, most of the NGOs I’ve known have been managing projects and programs. They design projects, write proposals & budgets, implement projects, evaluate them and so on and so forth. Yet I long to see some common project management terminology, standards or methodology on how to do all this. Years ago, the private sector has identified certain standards for project management, best practices, processes, tools, techniques..etc. These standards are helping corporations in all shapes and sizes, from the multi-nationals to the small local enterprises, in achieving their projects on time, within budget and fulfilling the necessary scope. Yet, surprisingly, and in-spite of the fact that most NGOs work on projects; we somehow missed the idea of having an agreed on, industry-wide standard, best practices and methodology . So you might ask yourself and what if we don’t have a standard, what does it really matter? The fact is, many NGOs miss essential project milestones, have projects that go over budget, short of scope and delivered their outputs behind schedule, if delivered at all. Time, effort and money spent to lead to a positive impact on the society sometimes are lost do to lack of proper project management (from planning to implementation to monitoring & evaluation)…but the question is why? Lebanon alone hosts thousands of registered NGOs as per the Ministry of Interior. Majority of those NGOs are project and program based and depend on ongoing grants and funding to secure resources for their projects. With grants and funding summing up to millions annually, the amounts being lost on failed projects, unmet objectives and re-work is counting up to hundreds of thousands of dollars. That’s if we’re only talking about the monetary value of things. On the other side, consider how many lives could’ve been saved with the same amount of money that has been lost or re-budgeted, how many schools could’ve been built, how many trainings would’ve been developed, campaigns launched…etc. Many leaders of NGOs consider this as a reasonable and un-escapable price to pay due to the fact that it is a volatile and ever changing industry that becomes active in disasters and emergencies, rather than in times of peace and order. Thus adequate time for planning and assessments isn’t always available. Moreover, I’ve heard several times from people working in the NGOs industry, that it is hard to recruit enough qualified project and program managers. Mainly it is due to the short period of engagement in temporary projects, low wages with respect to private sector and lack of well-identified project management standards, training, tools and techniques. Yet what many don’t realize is that things are much simpler than that. In most cases, there is no need to recruit highly qualified project managers, if you can build the capacity and empower those that are already there. As for the standards, trainings, tools and techniques, they do exist! The same standards that apply for the private sector, governmental sector, army and others…apply for NGOs, with minor customization. There are two internationally known standards for project management: Prince & PMP. Both of which are very popular, with the second being of a bigger base of certified professionals worldwide. With thousands of program and project managers/coordinators and teams in NGOs… there is a considerable gap to be filled for both the organizations and the individuals working in them. We, those passionate about NGOs and the community, should not keep on managing our projects based on serendipity. It’s about time we get our Project and Program leaders trained and certified to live up to their responsibilities and get that impact we are so passionately working for! We owe it to ourselves, our donors & supporters and most importantly to the community we are serving…so what are we waiting for?! To be honest I’ve researched for a while to get my hands on some useful material about Human Capital Management(HCM) in the NGO sector, especially in managing volunteers…not just staff. Yet I’ve failed to find substantial and relative material to build on. Therefore the following is a compilation of my personal experience in HCM in NGOs, specifically in Lebanon, through Aie Serve and other NGOs/Clubs that I train and consult. To truly create a Human Capital strategy for the organization, work needs to start on the Organizational Structure first. In this context, a lot of NGOs have a staff based structure, or volunteers structure, or simply committees or even no structure at all aside from the “Board”. This will need to change since adopting an HCM strategy, the structure will need to be redesigned to better fit the current needs and provide space for growth in the future. 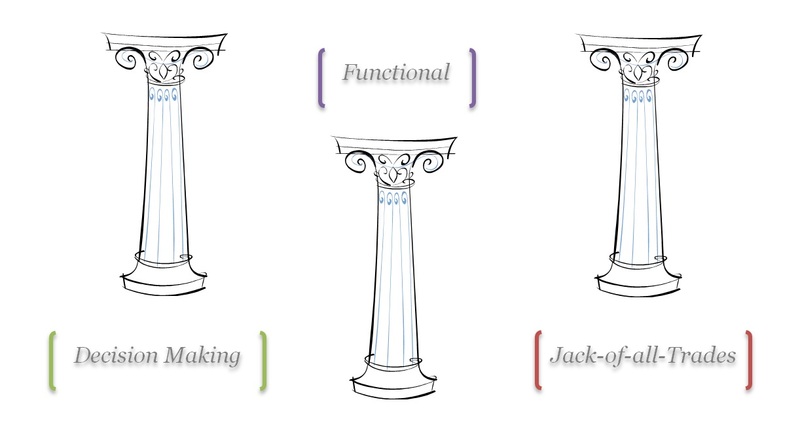 What is the current structure and is it really implemented on the ground? Does the structure provide space for further growth or does it need total make over? Do the positions fit in and complement each other or are there gaps? Is the NGO based on volunteers, staff or both? Do they know how to interact? How is the decision making done and who has it in the organization? Centralized or diverse? After setting the structure, its time to know what does each and every person do exactly. The interesting and surprising part here is that many if not most of the NGOs I work with have incomplete roles & responsibilities description of the team. Many people are left without clear delineation of what tasks shall they do, what are they responsible of, who do they report to, what decisions can they make …and so on and so forth. Therefore it is essential that each person in the organization not only knows where he/she fits in the structure but also know what role do they play. Moreover, if they wish to grow..then the path they should follow need to be clear. Are there Duty Descriptions or Roles & Responsibilities documents for the positions? Are people aware of each other’s role’s and responsibilities? Is regular updating and upgrading for those documents done? Who is involved in drafting and modifying those documents? Now that the structure is clear and so are the roles & responsibilities of everyone, the challenging part is how to get those people onboard. Having a consistent and clear recruitment process is essential to ensure that all potentials are tapped and the right people are recruited. To do this a recruitment process needs to be designed in a way that it reflects the culture of the organization, the way people will be dealing with each other. The process should be clear for all those in the organization so that they understand what shall they do if they want to recruit more people. How do people apply for the NGO? Does the NGO recruit volunteers or staff or ? Do members of the NGO join by invitation only or do they have an entry point? Is there a standard procedure of interviews and applications or ? Once everyone is onboard and in place, the time comes where people need to better understand how to do what they’re supposed to do. At this point, training and coaching all the new recruits comes in place. So developing a clear and flexible training program and coaching process are necessary to ensure that the new recruits are empowered with the appropriate information, skills and tools to do their duties properly. Moreover, the coaching process shall allow the recruits to not only do their roles properly but also to excel and grow as a person, and perhaps suggest improvements to the process. How will the new recruits know what to do and how? Who will be training/coaching them? Is there a training manual in place? Is there a clear coaching procedure and standards? After having set everything and people are performing and excelling, it’s very important to measure the overall performance and growth of both individuals and the organization. It is important to ensure that both individual and organizational goals are synchronized for this process to work. 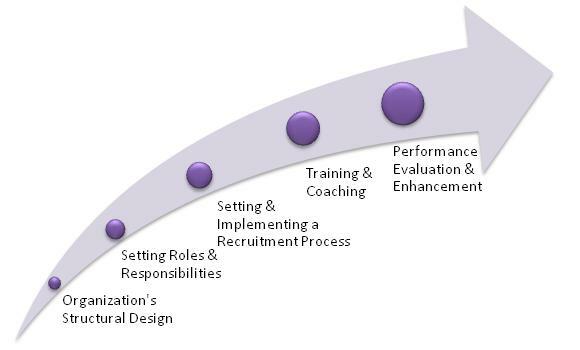 Moreover, assessment metrics will need to be developed either at the “Roles & Responsibilities” stage or throughout the process of execution so that a clear evaluation can be done at important turning points and end of year assessments. How would you know or measure that someone is doing their role properly? Who is responsible of assessing/evaluating? Can a follow up and training process be designed to build the skills and fill the gaps according to the results of the evaluation?